There remains a deeper problem in making a religious text foundational and that can be summed up in one word: commitment. A long and passionate debate about religion and the foundations of a polity has roiled the politics and academic study of the Middle East for many years. This debate has focused on the content of Islamic law and ignored a deeper problem: that the political community of a modern democracy must be committed to its foundational texts in order to be able to interpret them. And there can be no democracy unless every member can, with authority, interpret the foundational texts. For example the 1980 Egyptian constitution first made the principles of Islamic sharia a source of law and in 2012 a new (but now defunct) constitution appended the entirety of Sunni legal discourse to the mix. Discussion usually concerns the substance of the relevant Islamic texts on family law, the rights of women and non-Muslims, and freedom of expression. From the exegesis of Quranic verses permitting men to marry four women or imposing rules of inheritance to accounts of centuries of complex jurisprudential argument these arguments have enriched and occasionally inflamed contemporary debates. There is another aspect to this question that has rarely been posed in a debate that has mainly centered hitherto on presumptions about the relationship of text to the social practice of modernity. Let us assume for the moment that there are a variety of interpretations of the foundational texts and that they support substantive legislation from the most restrictive to the most liberal. There remains a deeper problem in making a religious text foundational and that can be summed up in one word: commitment. To begin to see why let us return to a less sophisticated era when the Muslim Brothers raised the slogan that the Quran was their constitution. But who can join in the discussion? 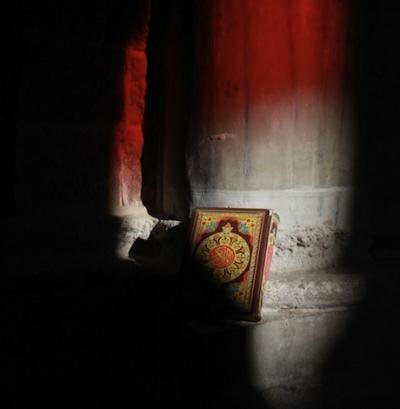 If we treat the Quran as simply one text of many we can examine it within the frameworks of comparative literature or comparative law. Clearly anyone can join in a discussion about the relative literary or legal merits of this text in relationship to other texts such as the Torah, the New Testament, the collected works of Shakespeare, or the US constitution. But such a discussion is necessarily secular. It does not accept, reject or adjudicate claims about the nature or authenticity of the text. More particularly it does not require that we commit ourselves to living in a community constituted by the text. Clearly some, but not all, texts constitute moral communities. Jews, Muslims, Americans and Shakespeareans would all agree not only on the general principle but on which particular texts are constitutive. Membership goes further than this – it depends on making a commitment. Whether expressed as a declaration or an oath, membership is the result of a formal and often public act. Such members are bound to the rules but also, unlike non-members, may interpret their meaning. The Torah, the Quran, the US Constitution do create moral communities; the works of Shakespeare evidently not. One of the reasons that class, unlike religion, has never worked as the foundation of a modern state or even of a political movement is precisely because membership of a class neither creates nor requires commitment and thus does not constitute a moral community. Ideas of moral community may, it is true, affect the activity or structure of classes but they do not bind its members to each other. If the Quran were, as the Muslim Brothers demanded, to constitute the moral community of a democracy then what kind of discussions about governance could non-Muslims engage in? More specifically, as debate moves from particular policy prescriptions to underlying principles, how can they engage in those discussions? Can they, for example, offer their own interpretations of the Quran (or the sunna) in order to debate what the principles of Islam require of a state? Or must they stand aside in those debates? In the one case it appears as if only Muslims could engage in such debates; in the other it appears as if Muslims would have to acknowledge that they can no longer authoritatively interpret their foundational text. Seen simply as texts there is no reason anyone with reasonably facility in the relevant language should refrain from such discussions as in the example above of comparative literature or law. Yet, constitutive documents are not simply texts and their interpreters are not simply literary critics. The very idea that a Jew can claim to interpret the Quran authoritatively (or a Muslim the Torah) sounds problematic. Each can, in fact, engage in interpretation. What makes their respective interpretations theoretical rather than authoritative is the absence of commitment not only to the text but to the community constituted around it. This is, of course, what has made it plausible in the 2012 Egyptian constitution and the constitution of the Islamic Republic of Iran to limit the meaning of “Islam” for political purposes to Sunni and Shici texts and authorities respectively. There may be a space in which the principles that underlie the Quran or the Torah are open to debate by members of different communities. In that case it can legitimately be asked whence these principles originate and what community -religious or political - they bring into existence. Is the interpretation dependent on the text or does the text come to depend on shared interpretation across communities? That space, I think, is the space of secular discourse. It would be easy enough to believe that the question I have raised is only a problem for the use of religious texts as foundational to democratic community. Yet we can see many of the same problems in the appropriation of foreign texts in constitutional interpretation in the United States. It is easy to understand that Americans and especially American Supreme Court justices might find the reasoning of other courts in other constitutional settings useful. There is some debate about the use of such texts from other countries or as I would prefer to think of them alternate democratic moral communities. What is clear is that American citizens would never accept those interpretations as authoritative on their own. They only become authoritative when they enter our political, moral and legal life through the authoritative interpretations of our own justices. To conclude, there is I think a very real problem for plural societies in which many different moral communities live together, in adopting one particular text as foundational. This is not a result of the content of the text but it stems from the commitment to a moral community necessary to engage in authoritative interpretation, whether in the judicial, legislative or executive arenas. Equally, however, it is clear that debates within any moral community may be of great value for those who are not bound to it. Thus such debates within religious communities may enrich the democratic political dialogue rather than envenom it. What such communities cannot do, it seems to me, is to contain and define such discussions, in a democracy.